A custom home building is essentially a process in which someone plans and designs their home according to their requirements from scratch. This may cost a little bit more, but many people still prefer custom home building. This article will provide you with a basic guide about the construction process. Also, it will help you understand what steps a custom home builder will take, and how they will execute them. Custom home builders who work on the site manage a crew which not only prepares the site, but also lays down the foundation of your home. In case of wooded land, a special crew is hired to clean such sites of rocks and garbage. After clearing the site, they level it, install the footings, and dig trenches and holes to lay down the foundation. The holes are dug, footings and foundations are formed according to the layout of the house, and whether it will have a full basement or not. Concrete is then poured in the trenches and holes and is left to settle down. After the concrete hardens, a small waterproofing membrane is spread on the entire foundation wall. Then sewerage systems and drains are installed in the entire home structure: basement, first floor, backyard, etc. First the main exterior door and windows around the house are installed. After that plywood sheathing is applied on the exterior walls of the home structure. For extra protection and to prevent water from infiltrating the foundation, the sheathing is further protected with a barrier named house wrap. This protective barrier also provides protection against wood rot and molds. The third step in custom home building is installing the plumbing and electrical system. Once the rough framing of the house shell is finished, roofing and siding is installed. Simultaneously, plumbers and electricians will start installing pipes and wires throughout the interior of the home. Sewer lines, water supply lines, and vent pipes are installed. For heating, air-conditioning, and ventilation ductwork is put in place followed by insulation. After roofing, the house is considered in “dried in” condition. The electrician will install all of the electrical outlets, switches, and breaker systems to make sure of the proper supply of electricity. 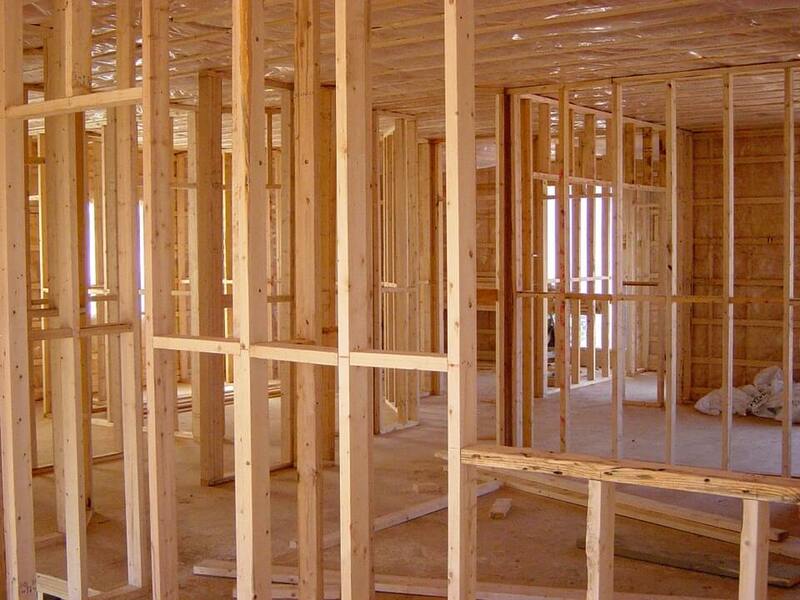 The next and vital step in custom home building is the installation of insulation. It’s essential to offer homeowners a consistent indoor climate for their comfort. The main purpose of insulation is important as it controls the heat transfer to and from the house. The quality of the insulation is determined by its R-Value which means how much the insulation is effective in controlling the heat transfer. Usually, the entire exterior walls, attics, and unfinished crawl spaces are insulated. Generally, fiberglass, cellulose or foam is used for insulation, but it largely depends upon the climate of the region. Custom home builders can also use rigid foam, mineral wool, concrete blocks, structural insulated panels or insulating concrete forms if needed. In this stage of custom home building, drywall is put into place. It’s suspended and taped to cover up the joints between the boards, and then if required, the texturing of the drywall is done. After completing the drywall taping and installation, the primer coat of the paint is applied so that the internal textures can be completed. Afterward the exterior finishes like installing stucco, stones, bricks, and sidings are done. After these installations and trimmings, the last paint coat is applied, and wallpaper is put into place. Custom home builders usually shape the patios, driveways, and walkways at this point because doing it earlier poses a risk of damage if heavy machinery is in use. Next is to complete the flooring. 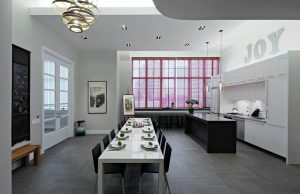 Generally, ceramic tiles, marble, wood or vinyl flooring is used in custom home building. Subsequently, the yard is prepared for landscaping, proper drainage is installed and the exterior grading is done. At this point final touches are given to the electrical installations, electrical panel is completed, lights, electricity outlets, and switches are installed. HVAC equipment is put in place. Afterwards, bathroom fittings like sinks, toilets, and faucets are installed. Custom home builders acquire these things before, and now it is time to install them. The installation of carpeting, mirrors, doors, and showers is done and reexamined. Exterior landscaping is also completed at this point including: plants, trees, and shrubs are planted and a final cleanup is done of the entire home. The last stage of your custom home building process is the pre-settlement walkthrough which will be given to you by your custom home builder. They will guide you through all the facilities that have been installed, features and components of the systems they set, their maintenance, usage, and warranty coverage. A final walkthrough with your custom home builder will help you to adjust yourself in your newly constructed home. You need to be extra efficient and observant in this final walkthrough. Look into the house details, examine the flooring, countertops, fixtures, and walls and if there is any damage ask your builder to correct them before you move in. There is an important thing to be mentioned which is done periodically by the city authorities is the inspection of the house construction. The inspection is done to find and correct as many problems as possible before the completion of construction. The city inspector conducts the first inspection when the foundation of the house is laid and check if the foundation components are properly installed or not and fulfills the building codes. The custom home builder proceeds to the framing phase after city inspector approves the foundation. The inspection team inspects the construction site time to time; checking of the rough framing, plumbing, mechanical and electrical system installation is usually done in three visits. They are thoroughly examined to make sure that the builder is following the building codes. After their nod, drywall is installed. The city inspector conducts the first inspection when the foundation of the house is laid and check if the foundation components are properly installed or not and fulfills the building codes. Final inspection by the building-code official is done after the builder completes the construction. The official holds the authority to issue the certificate of occupancy following which you can move in to your own house. The inspection official if finds any defects in the building, he can order to fix it and schedule a follow-up inspection visit to make sure the defects have been corrected. Most people take great interest in the building process of their home and track the progress; it’s even better to attend inspections because this is an excellent opportunity to get the inside details about your home’s construction and how various systems work.